Paramedics - are you ready for new registration standards? On the 17th May 2018 the Paramedicine Board of Australia released its new National Registration Standards, to take effect immediately. These standards serve to ensure that all individuals who practice as paramedics provide the level of care expected of them by the Australian public. Paramedicine will soon become a regulated profession under the National Registration and Accreditation Scheme. This means that the term “paramedic” is protected under national law – i.e. only those individuals who are registered have the right to practice, and call themselves paramedics. The standards released by the board include the key pillar of Continuing Professional Development (CPD). To complete the CPD requirement, paramedics must complete, and retain adequate documentation of, at least 30 hours of professional development per year. Further details can be found here. Critically, paramedics will be required to maintain a portfolio that includes their development goals, a record of all activities and their reflections on their learning. This portfolio will serve as a source of information if and when the Paramedicine Board conducts spot audits of compliance. Records of your CPD must be maintained for at least 5 years, so a secure and reliable platform is essential. Fundamental to good CPD is planning. The standards require all paramedics to develop goals for their learning, and measure their impacts on practice periodically. This impact can be emphasised by engaging a facilitator to help you review and manage your performance plan. Osler is the ideal platform to assist you meet your CPD obligations for registration. Osler provides you with a secure, robust portfolio of your CPD activities. It allows you to record and categorise all your learning activities and store evidence and documentation in the event of an audit. It also allows you to clearly document your learning reflections for each activity, a mandatory requirement of the standards. Osler’s reporting and analytics features help you monitor your progress, keeping you on track. With our brand new mobile app, you can capture all your CPD, log your cases and procedures, complete any learning and connect with your peers right there on your phone or tablet. Osler also helps you to plan your learning goals. Completing the CPD planning pathway not only allows you to define your objectives for the coming year – it is also automatically included as an activity in your CPD portfolio. 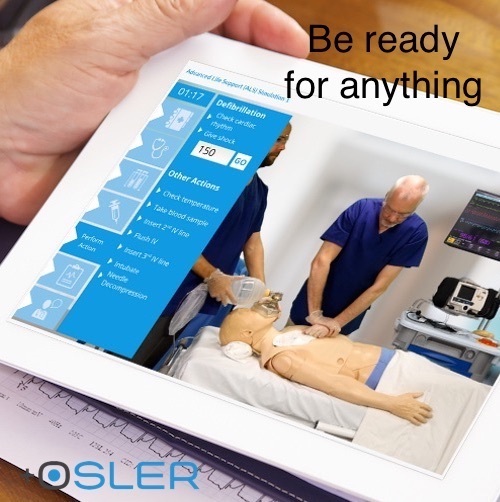 Osler will soon add an interactive personalised Performance Development Plan to its suite of CPD tools. The plan will help you develop your goals, monitor your progress and even invite a facilitator to assist you. Collaboration – network with paramedics and other health professionals the world over. Ask questions, provide answers for others, share information and more.